The performances are cool and the plot’s a blast in Steven Gomez’s watchable drama about a military exercise that takes a terrible turn. 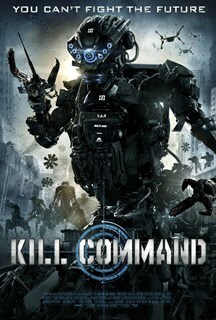 An elite squad of marines are sent to a remote island to train with the soldiers of the future: intelligent machines with a devastating capacity to kill. But the exercise soon takes a terrifying turn when the machines become sentient, leaving the soldiers in a desperate fight for survival.